In the season of the Tour de France top racing models DRAG are on promotional prices. 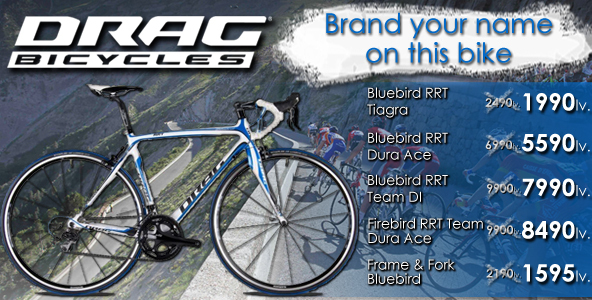 Now you can have the bicycle of the European road champion Anna Solovey – DRAG Firebird and brand your name on it. The professional models have won medals in international competitions. Only now at preferential prices.